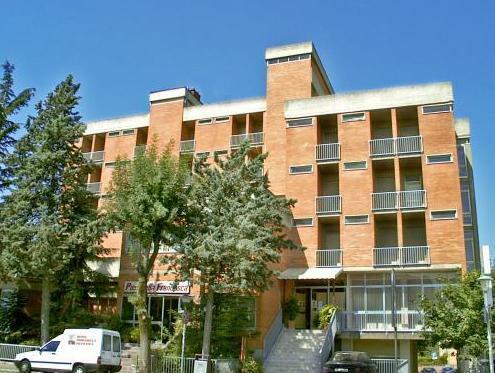 ﻿ Hotel Piero Della Francesca Urbino. JIMAT di Agoda.com! Hotel bertaraf 3 bintang ini berjarak 15 minit berjalan kaki ke pusat bandar. Ia menawarkan sambungan pengangkutan awam yang baik, perkhidmatan yang ramah, dan tempat penginapan yang luas dengan pemandangan panoramik ke desa Urbino. Manfaatkan tempat letak kenderaan peribadi percuma di Hotel Piero Della Francesca. Anda akan mendapati WiFi percuma di seluruh kawasan hotel, lounge yang luas dan bilik mesyuarat. Di Hotel Piero Della Francesca anda akan tinggal di bilik-bilik berperabot ringkas dengan bilik mandi en suite dan balkoni yang panoramik. Hotel Piero Della Francesca boleh diakses oleh golongan kurang upaya, dengan menyediakan 2 lif dan perkhidmatan khas untuk warga emas. Kakitangan boleh mencadangkan lawatan dan acara untuk membantu anda menerokai kawasan yang kaya ini. Sunday when we left we were told there were no buses into the centre. A minute’s taxi ride cost us €10 (because it was Sunday). Although that isn’t the hotel’s fault what was is that there were no bus timetables on show anywhere for a hotel that sits outside the centre of town. We were told that the 46 bus goes every hour: it does: on weekdays. The hotel speaks of itself as welcoming and helpful: it wasn’t. It was not an unkind place but it was not mindful of its clientele and there was no attention to detail. I have been to similar hotels outside of town where information was on display to help with transport and getting to and from the hotel. The hotel itself was clean but there was nothing cosy about it. It was saved by having a bus stop right outside. Too much wasn’t right about it for a return trip. at first i found this hotel unappealing but it grew on me. fairly outdated with candlewick bedspread and one of those tiny lifts, but the rooms were spacious and the bed comfortable. the room also had lots of cupboards and drawers which were missing from some hotels. we found the position useful to just park the car and walk into town without having to enter those narrow steep streets was located across from the hospital, about a 10 minute walk to the gates and a bit further to the main square. the bathroom had one of those horrible snake showers with no hooks to hang it up. breakfast extremely meagre probably the poorest we had in 10 weeks. had free wifi which only worked in the lobby. seemed fairly large and probably (from the size of the breakfast and lounge room) caters for groups. desk was pretty disinterested but answered any queries we had.